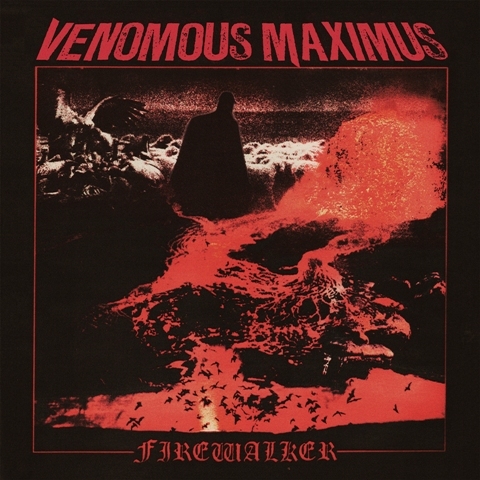 Houston heavy metal band Venomous Maximus will release its new album, ‘Firewalker,’ May 5 via Shadow Kingdom Records. The award-winning four-piece, who has won back-to-back-to-back titles at the Houston Press Music Awards as the city's Best Metal Band, recorded the album at the Diamond Factory in Austin, Tex., with engineer Travis Bonner (Ancient VVisdom). The record was mastered at PLX Mastering by Paul Logus (Satyricon, Clutch, Anthrax). Venomous Maximus has toured the US as hand-picked guests of Down, High On Fire, and Pentagram. "One thing that underground music has been missing for the last 10 years is danger," says Venomous Maximus vocalist/guitarist Gregg Higgins. "Making this record almost killed us and pissed a lot of people off in the making, but chaos and drama make good art." The band signed with Shadow Kingdom in November. You can check out an early live version of ‘Angel Heart’ as part of the clip below from Bayou Doom Fest I, held May 11, 2013, at Houston’s live music powerhouse, Fitzgerald’s. Other bands on the lineup included Wo Fat, Warbeast, Sanctus Bellum, and Mothership. When not wreaking chaos and drama upon the musical world, Higgins is a skilled tattoo artist at Houston’s Secret Tattoo.